The idea of who is labeled a stranger and why is complicated. Perhaps you are foreign born or new to a locale. But what if you grew up somewhere and find yourself a stranger nonetheless? It is hard to internalize a sense of belonging if you are a Maryland-born, African-American child hard-pressed to find role models who look like you in American culture. If an internal sense of belonging is achieved, it is difficult to see it reflected in the media. Everywhere you go, you are a stranger coming to town. In response to this feeling of otherness and a longing for connection and hope, Rudy Shepherd developed The Healer. This character is wholly different from everyone else – alien and strange, frightening and intriguing. 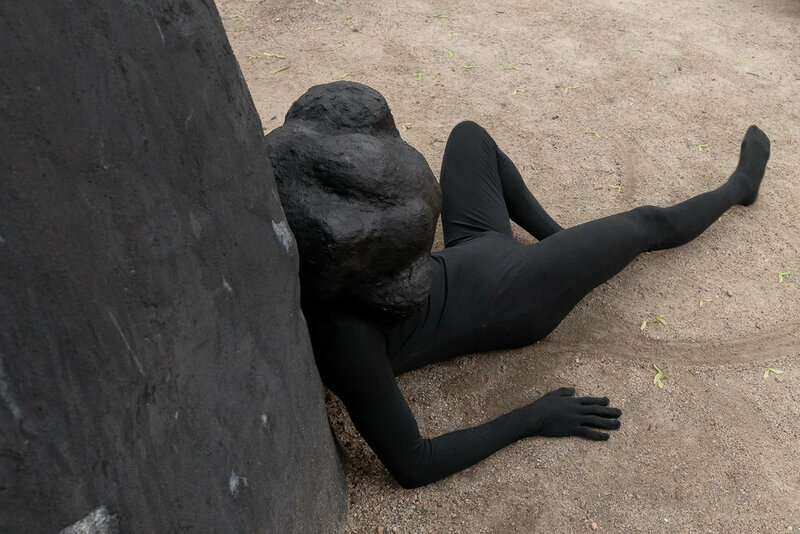 Dressed entirely in black with a featureless, rock-shaped head, Shepherd/The Healer alternates between contemplative and desperate to express anger, concern, and grief. He moves through the world in a state of detachment, belonging nowhere; he is a faceless self-portrait, an invisible man. The Healer leads us to contemplate intermediate spaces—those between binaries such as “good” and “evil,” “insider” and “outsider”—and serves as a conduit through which viewers may explore feelings of social and political frustration, isolation, and impotence. Shepherd conveys his anxiety as other, as artist, as empathetic citizen through this character. He is a citizen of everywhere and nowhere, a perpetual stranger with the detachment necessary to absorb and heal. In much of American culture, we articulate clear lines between acceptable and unacceptable behavior, between the good and the bad. As a result, individuals—often times people of color—are made into moral and ethical examples. At what cost? This oversimplified use of binaries and the divisiveness we see in news reporting make it difficult to understand and empathize with one another. Strangers abound. For SPRING/BREAK, The Healer appears in two live performances (March 6 and 2pm and March 10 at 2pm) as well as a multi-channel video projection. In the video, the viewer observes The Healer doing everything from walking the desert like a shaman to pouring milk in his kitchen. 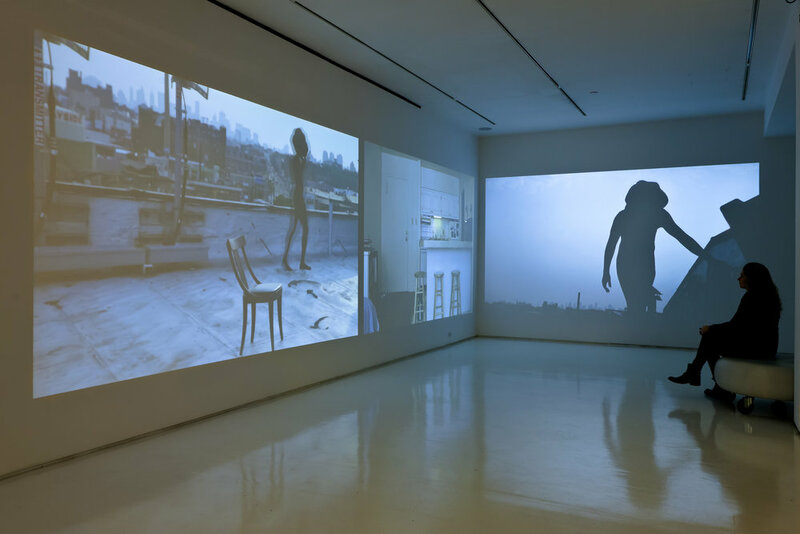 Instead of demonstrating concrete abilities, the video captures the character wandering the earth as stranger, in a manner neither wholly apart from its activities nor entirely part of them. Unlike a traditional Hollywood “Stranger Comes to Town” story, there is no resolution, acceptance, or transformative revelation. In Shepherd’s work, The Healer remains Other. We are acutely aware of his isolation and impotence, yet inspired by the way he processes and absorbs the world’s energy with patience and care. Also included in this exhibition will be a small selection of paintings from Shepherd’s recent series, Holy Mountains, in which Shepherd depicts various sacred sites around the world. Inspired by Alejandro Jodorowsky’s 1973 film “Holy Mountain,” these mountains are extensions of his earlier Black Rock Negative Energy Absorber series and reflect the artist’s personal longing for spiritual solutions to human problems. These literal mountains stand in as towering healing devices of inclusion powered by the collective faith of those who believe in them. Rudy Shepherd received a BFA from Wake Forest University and an MFA from The Art Institute of Chicago. Solo exhibition venues include Carnegie Mellon University, Pittsburgh, PA; Location One, NYC; and Wake Forest University, Winston-Salem, NC; and Mixed Greens, NYC. 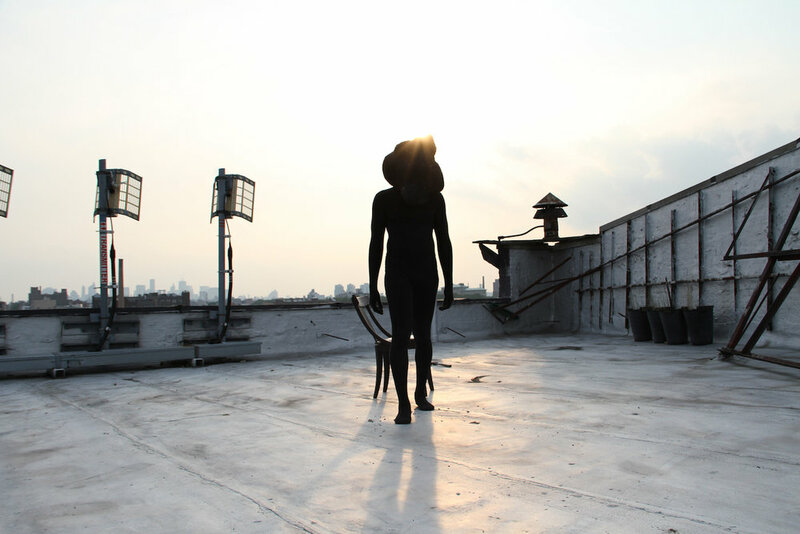 Group show venues include The Studio Museum in Harlem; The Warehouse Gallery, Syracuse, NY; Triple Candie, NYC; the Swiss Institute, NYC; PS1 Contemporary Art Center, Queens, NY; the Contemporary Museum, Baltimore, MD; the Bronx Museum of Art; and the Queens Museum of Art. He received a fellowship from Socrates Sculpture Park and was an artist in residence at the PS1 International Studio Program, the Jacob Lawrence Institute for the Visual Arts, and Process Space Artist in Residence with the LMCC. He lives in NYC and State College, PA, where he is an Assistant Professor at Penn State University. His most recent performance was at MoMA PS1. His work is currently on view at the Studio Museum in Harlem and Penn State University.